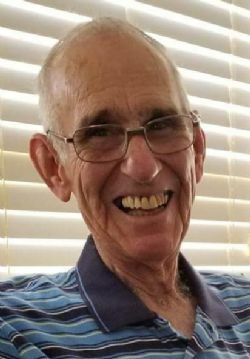 Edward Cleveland Harris, Jr. of Rolling Fork died October 1, 2018, at Select Specialty Hospital in Jackson at the age of 78. Born October 14, 1939, to Edward Cleveland Harris, Sr. and Pearl Lee Bugg, in Monette, Arkansas. Ed went ten grades at Childress High School and graduated from Elaine High School in Arkansas in 1957. Ed began farming in 1958 and was a lifelong farmer. He was a member of Harmony Baptist Church in Greenville, MS and enjoyed teaching Sunday School for many years. In addition to his parents, Ed was preceded in death by his brother Samuel E. Harris and his sister, Eddie Lee Harris. Ed is survived by his wife of 59 years, Patsy Burkhalter Harris of Rolling Fork; his daughter, Laurin Harris Jackson (Jeff) of Cleveland, MS; his son, Kevin Bradley Harris of Rolling Fork; his 2 granddaughters, Reagan Jackson of Cleveland, MS and Rachel Jackson Taylor (Matt) of Red Banks, MS and one great-grandson, Mason Taylor. Funeral services will be held Thursday, October 4, 2018, at 11:00 AM in the chapel of Glenwood Funeral Home in Rolling Fork with Rev. Steve Ramsey officiating. Visitation will be 10:00 AM Thursday until the hour of the service. Interment will follow in the County Line Cemetery in Glen Allan, MS.
Pallbearers will be Jeff Jackson, Matt Taylor, Wix Crawford, Wil Crawford, Buster Jennings, and Ronnie Fratesi. Glenwood funeral home in Rolling Fork is in charge of arrangements.